Sw. Sarveshananda ji will be offering a new set of discourses as part of the SHRAVANA SAADHANA SERIES, beginning Thursday September 13 2018 thru Friday May 31 2019. 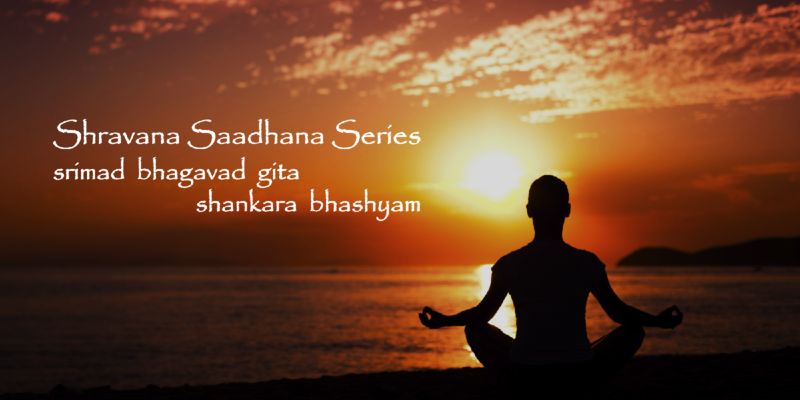 You need NOT have attended the previous saadhana series to join and attend this series. Please register for the series by registering for this event by EOD Sunday Sept 9 2018. You need to commit to attending the entire series - regular attendance is expected. Any absences need to be communicated to Swamiji ahead of time for his permission.